Are you looking for a great gift for a poker fanatic but aren’t sure what to buy? Do they have every poker book ever written? Would their chip collection be enough to host a few hundred people over for poker night? Are you looking for something different? Something that they would really, really enjoy? Then check out these great gifts that poker players are sure to love. Real Poker Training – Real Poker Training is a revolutionary training tool that gives poker players personal insight into exactly what a professional online player is thinking while he plays. A top online player named Todd Arnold (and a few others) have created create video recordings of themselves playing poker online. While they play, they talk constantly about why they are doing what they are doing and just spilling their secrets, strategies, and ideas. You get to watch and listen as they play tournament after tournament and situation after situation. It really is a revolutionary way to improve your poker skills. A membership to Real Poker Training would be an excellent poker gift. It’s unique, it’s cool and it is really good. Members get access to over a hundred hours of videos. You can watch a couple of demo videos available and see exactly how it works. *I recieved a membership to Real Poker Training for Christmas and here is my in-depth review. Check it out. PokerTracker – Poker Tracker is a poker software that stores all of the data created while you play poker at an online poker site. The software tracks all of the data, enters it into a database and then creates all sorts of charts, graphs and stats. You also track the information on your opponents and create profiles and history on your competition. If you play against the same competition often you can have a very detailed report on how they play and if they are profitable to play against. Poker Tracker is one of the most well established poker tracking software on the market today and makes a great gift for anyone who wants to improve their poker game. Dealer Training Dealer-Training is an online course that teaches people to deal poker just like a casino dealer without the expensive training school prices. You can learn from the comfort of your own home on your own time with this extensive training course. 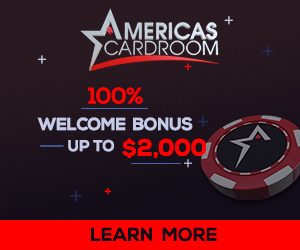 If you know someone who would like to start dealing poker or just learn how to shuffle cards like a casino dealer then they will love this information packed course! Until the first of the year, there is a special promotion going where you can get a free copy of the Dealer Training course. This course retails at $197 so this limited time offer should not be missed! Get a free copy now while this offer lasts.